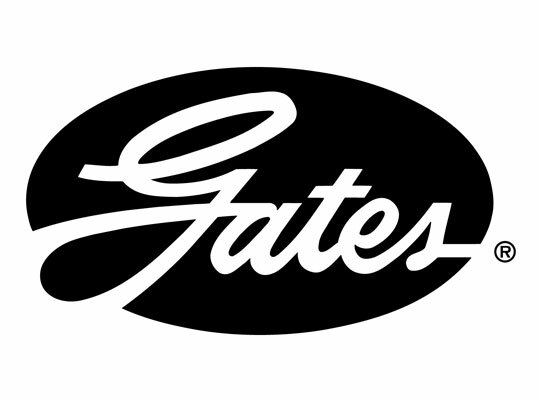 When problems arise in drive systems, be sure to treat the causes not the symptoms, says Gates. When a vehicle with an excessively noisy Synchronous Belt Drive System (SBDS) came in for a diagnostic check, the solution seemed very straightforward. With the drive system cover removed, the belt was evidently worn and the mileage suggested it was due for replacement. Rather than adopting a diagnostic approach, the garage assumed the issue was a result of fair wear and tear on the belt. It was replaced it with a Gates Power Grip kit, which includes a camshaft damper. The cover was refitted and the vehicle test-driven. The noise had been eliminated. The job had been ‘completed’. It wasn’t long before the vehicle was returned with ‘further problems’. This time, after removing the drive belt cover, the mechanic observed that de-lamination of the belt had taken place. It was decided that this was conclusive evidence of a fault in the construction of the belt. To be sure of a perfect solution this time around, the mechanic chose to install an OE replacement belt, supplied by the local Renault dealer. As with the first replacement belt, the noise from the SBDS had been eliminated. With the drive system was running quietly, the vehicle was returned to the customer – who returned it to the garage within the month. The OE belt had failed to resolve the problem, which the garage assumed to be far more serious. However, there seemed to be no other obvious answer to the problem. Unable to provide a definitive solution, the motor factor approached Gates. Is the evidence likely to be a symptom or the cause of the problem? What are the implications for other components in the drive? Could straightforward replacement resolve or exacerbate the issue? Fair wear and tear can cause degeneration that may increase vibration, which does lead to a noisy drive system. De-lamination may be a consequence, but is not necessarily always the result of fair wear and tear. Indeed, it is more likely to be caused by vibration generated from another source. The garage was advised to inspect the drive systems for evidence of problems elsewhere – specifically, in relation to the Torsional Vibration Damper. Torsional Vibration Dampers (TVDs) are usually located in the Auxiliary Belt Drive System. They were introduced to absorb vibration from the crankshaft and produce much smoother drive system operation. They are required as a result of the increasing number of components in the drive system and are found on most late models of passenger cars and light commercials. A failing TVD can cause the noise and vibration that many mechanics erroneously believe to be the belt or the tensioner. The mechanic soon identified wear and tear in the TVD, which would undoubtedly have caused excessive vibration and will have accelerated the degradation of the belt in the SBDS. The timing belt is attached to the crankshaft. Left unchanged, it would have repeated the de-lamination process on all subsequent belts – regardless of the belt supplier and the brand. Vibration from elsewhere within the drive has to be considered as a possible cause because de-lamination is not caused solely by wear and tear. A careful examination of all other components in the drive is an essential precaution and should be encouraged as part of a recognised drive belt maintenance procedure. This particular case involved both the garage and the end user in an expensive and lengthy process. However, the bill could have been far higher if the belt had failed prematurely and engine had been damaged. The garage had to bear the costs of three belt replacement procedures, a substantial amount of downtime, while the customer was greatly inconvenienced and dissatisfied. In the end, a TVD and a belt kit supplied by Gates resolved a problem that has not since recurred. Gates has developed an online technical database that contains a series of Technical Bulletins. These are case studies developed as a result of known issues identified by Gates because other garages have encountered the same issue on a previous occasion. The underlying message from these Technical Bulletins is that preventive maintenance is the most appropriate course of action in every case and this applies whether a drive belt problem has recently emerged, or if the vehicle has been booked in for a scheduled belt replacement procedure. For example, the garage installed a timing belt kit rather than a belt alone. This form of preventive maintenance has become second nature for many garage mechanics. 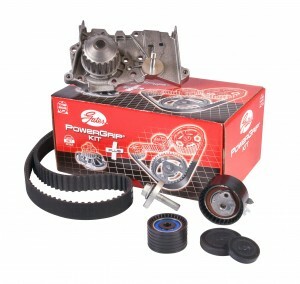 However, replacing the water pump along with the belt kit is also recommended as an automatic choice. Gates points out that as around 80% of the labour involved has already been completed, it makes sound economic sense and good workshop practice to combine the procedures. However, close examination of all of the components is vital to avoid an expensive rectification procedure. Gates also supplies TVDs for crankshaft and camshaft, where appropriate.